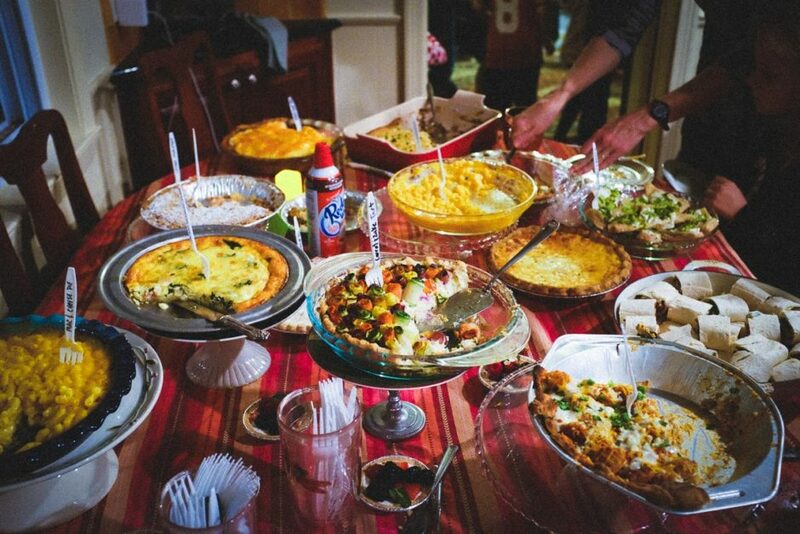 Tonight we all went to a friend’s house to attend his annual Pie Party. This year’s collection of pies included two that I had not tasted before. The first was a brisket and french fry pie, which was just what you’d imagine… I think it was simply a bunch of shredded beef brisket in a pie shell, topped with french fries. And it was delicious!! Also of note were a shepherd’s pie, lamb pie, pizza pies, and some empanadas. I’m sorry to say that I didn’t eat any of the dessert pies, but there were many! I’d say it was split 50-50 between sweet and savory pies this year, which is perfect, in my opinion.